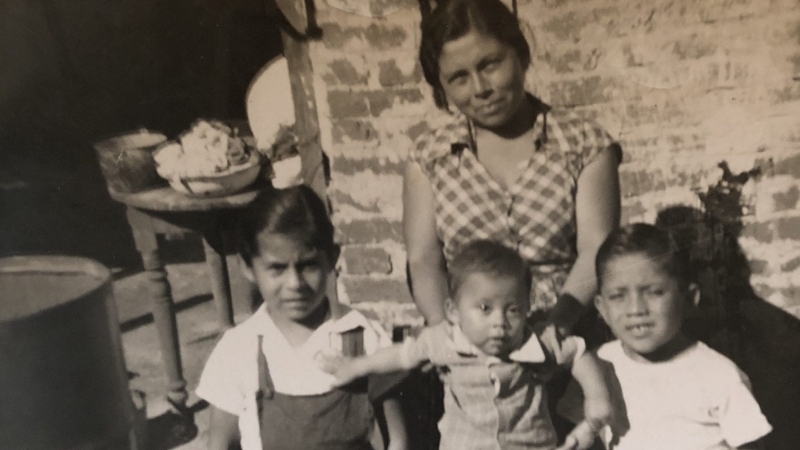 Amidst all the harsh talk of ‘border walls’ and ‘criminals pouring into our country,’ what has gotten lost in the conversation is the people – the hard-working immigrants who travel on perilous journeys seeking a better life for themselves and their families, just as so many of our ancestors did before them. Here is the story of one, Cynthia Lupoff [Flores], as told to Aspire Editor, Gayle Jo Carter. At 40-years-old, I am the Creative Director of the National Academy of Science and Medicine (NASM), a world-wide personal fitness training brand that serves over 30 countries. I lead the vision and production of our branded video shoots and photoshoots as well as the fully-integrated national and international communication strategies, and multi-channel advertising media campaigns. I am also a mother of two young boys — Samuel, a 10-year -old, who’s very bright, loves space, science and video games and Ryan, a 9-year-old, who’s cheerful, creative and a great little chef. Last year, thanks to my own personal successes, I was able to start providing financial aid to a 9-year-old boy in my native Guatemala. I hope to continue to do so until he graduates college. This year, I will be sponsoring another student in Guatemala with autism, as well as bringing in a special needs therapist to work with children in a mainstream setting. I am looking forward to helping more students each year. Seeing my own brother’s journey [he has Cerebral Palsy] and my own son’s challenges [Samuel has Asperger’s and had an early diagnosis of echolalia which he has overcome greatly] has helped me to understand the pain of others. Sometimes we’re put in this environment where different people play different roles in our lives. I wanted to live a life of purpose and growth because my own brother couldn’t do that. He couldn’t speak up for himself, so I had to do it. My son, he has people all day telling him ‘You can’t do this. You can’t do that. You’re not behaving.’ I have seen many kids with special needs and if the parents are not their advocates, they can’t advocate for themselves. Our role as a community is to help them advocate. If there are things that are not right, we need to speak up in order to make change. If we don’t, it’s easy to ignore, easy to turn around and not see their pain, their challenges. Things that are easy for us are so difficult for them. If we don’t acknowledge that, we will continue another 100 years and they will be in the exact same place they are now. I try to honour the lives of those who are struggling, who have been impacted by disabilities, and who are suffering from poverty by leading a life of purpose and growth. "Sometimes we’re put in this environment where different people play different roles in our lives. I wanted to live a life of purpose and growth because my own brother couldn’t do that. He couldn’t speak up for himself, so I had to do it." Just 20 years ago, being able to help others did not seem possible because I was just an immigrant brought to America by my mother out of necessity and desperation. We were a happy, middle class family during my childhood in Guatemala. It was truly a magical time. I remember it being dreamy and lazy, filled with vivid colours from all around. The flowers in the hills and women’s hair. The bright and bold clothes people wore in the city; and the colours of the city itself, the laughter of my family, the silly smiles of friends. Everything came crashing down when I was 16 years old. My parents divorced. My father made the callous decision of selling our home and leaving us homeless. He also took the only car we had. My brother with Cerebral Palsy was literally dying due to the humidity and the lack of support from my father. We had to move to one of the most impoverished and dangerous areas in Guatemala City, where my maternal grandma resided and still lives. Overnight, our sense of security, or any security for that matter, was taken away from us. We had to learn to survive and thrive in an environment that felt truly against us. I’m still puzzled by my father’s decision at that time, but try to focus on the good moments we had early on in our childhood. And while difficult, I am forever grateful to my mother for that bold decision to come to America. Many people back in Guatemala told us that we were going for nothing except to ‘clean toilets for other people.’ This is a very common thing to say. As hurtful as it was at that time, it also gave me the motivation to prove them wrong. But, at first, they were right. We left Guatemala with hardly anything in our pockets. So, I took what work I could get. I helped families with their children, cleaned houses, and whatnot. On good days, I would get paid $20 for an 8-hour work day. Funny to think at the end of the day, I had a smile on my face. $20 was a lot of money. On bad days, I was hungry. I would pick up coins from the ground and buy myself an egg and some bread. I would also buy the Spanish newspaper and look for jobs. 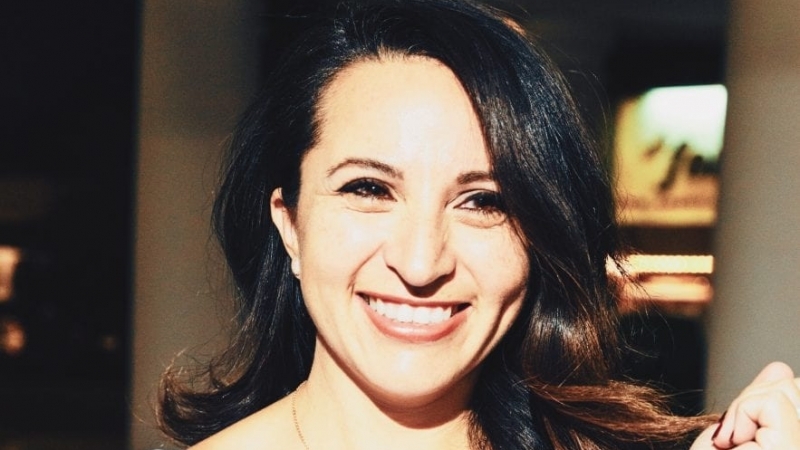 What saved me was having had an education in Guatemala, where, despite the odds, I graduated as a preschool teacher from one of Guatemala’s specialised high schools. This helped me understand the methodology of school and enabled me to realise education’s power. In our early days in America, I vividly remember answering this question: ‘Are we staying here temporarily or are we here permanently?’ That was a very important question to ask because a lot of people stay here thinking, ‘Oh, I’m going to be here two or three years, then I’m going to go back.’ So they live their lives kind of temporarily and then the next thing they know they’re not here for three years, they’re here for ten years, twenty years. Little did they know that if they had made the decision: ‘I’m going to live my life here,’ they would be thinking of the future. Many talents are wasted because there are no channels provided to fulfill them. No one has shown them the way. It is important to open your heart to those in tough situations, newcomers in this country. We can’t do it alone. So to me that was a very important question to ask because, based on that, I made crucial decisions of how I’m going to live my life here in the U.S. – by going to school, not only for English, but actually studying a career. It was very challenging studying here because I didn’t know the language. I couldn’t understand anybody and they couldn’t understand me. I would memorise my presentations. I would push myself. There’s a fear of sounding like a fool. You could be the smartest person in the world but when you’re speaking a different language you can sound funny. I still feel like that sometimes. At some point, you have to let it go. When I wasn’t working, I took English as a Second Language. I started this one month after I arrived. I also watched television with closed captions so that I could match the words to the sentiment of the shows. Immersing myself in English made a huge difference, especially in a place where most of everything could be translated to Spanish. Eventually, after studying English, I discovered my artistic side. Drawings, illustrations, watercolours. I was able to find opportunities to study that did not require me to study in a 4-year college as I was not prepared financially to do that. I was able though to save enough that I enrolled in UCLA at Night, which at that time offered flexible night schedules to study Graphic Design. Later on, I enrolled at Art Center at Night and studied Art History, Environmental Design, Photography and Advertising. Soon after, I started my professional career as a designer and art director for companies such as Mattel, POM Wonderful, Fiji Water, Cuties, Teleflora and others. I have worked on many campaigns from small ads to super bowl commercials. Many people ask me why other immigrants are not like me. I assure you, there are countless others like me. You just have to look closer and get beyond the rhetoric. I encourage others to be compassionate about the journeys of immigrants and refugees. I was lucky in the fact that education was provided to me from a young age and I was encouraged to continue my studies. Many immigrants come here with a second-grade education, if they are lucky. Oftentimes they don’t know how to write their own language, let alone a second one. This does not make them less than. Many talents are wasted because there are no channels provided to fulfill them. No one has shown them the way. It is important to open your heart to those in tough situations, newcomers in this country. We can’t do it alone. Another challenge for immigrants is the cultural and social barriers we have to conquer. Here in America, men and women are very assertive people and are not afraid of asking questions. In fact, they’re encouraged from a very young age to ask questions. I see that with my own kids. They’re encouraged to talk, to raise their hands and ask questions and to present a challenge. That’s very different, culturally, from Guatemala where you’re expected to just listen and take in the information. Very rarely will they encourage you to challenge your own teachers, to challenge your own parents. They see all of that as very disrespectful. I had to change that in me because in Guatemala, especially for women, you’re expected to take it all in and be quiet. You’re expected to be very nice. The role as a woman in Guatemala is to be led by a man or someone else. As a community, you’re not a force for change. But, I was living here now and knew the only way to control my own destiny was to stand up like everyone around me. This is not easy but women, especially, must learn how to do that. I have guided them. I have put together a sheet of resources. I give them words of wisdom. We women take on a lot, we feel the need to be everything to everyone, but we forget about how important it is to take care of ourselves. Right now, more than ever, It’s not an easy time to be an immigrant in America, yet even now, I do feel American [I am a green card holder, hoping to become a citizen this year] and that is interesting because America is one of the few countries where if you call yourself American, even if you’re not officially a citizen, you are an American. You can’t really say that in other countries. That’s a good thing. There is still such a big part of me that is Guatemalan. They are suffering there. And there were moments I lived there that I was happy. I will never forget Guatemala. The pain and happiness, the good and bad, made me the woman I am now. But I do consider myself American and I love this country and the opportunities it has given me. I’m thankful to those who have opened their doors to me through guidance, mentorships and friendship. You can’t choose what happens to you, but you can choose how you respond to it. Ask yourself the hard questions, as the answers will help you make the crucial decisions. Educate yourself in every way possible. There are opportunities in adversity. Push forward. Don’t lose heart. Find mentors, guides in your life. Find people that care about you and want to see you succeed. Let them guide you. Accept the help. Treat everybody equally and respectfully. Be compassionate. You may not know someone’s whole journey.